How I Feel About Books: Banned Book: Brown Bear, Brown Bear, What Do You See? 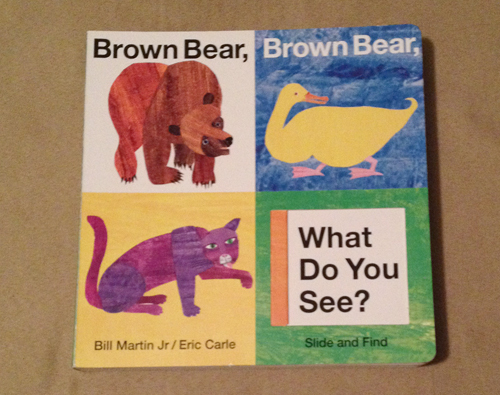 Banned Book: Brown Bear, Brown Bear, What Do You See? I have my old picture book copy of Brown Bear, Brown Bear, What Do You See?, but a friend gave my son this cute board book version so I wanted to showcase it! This book is a classic regardless of what format you read it. This is probably one of the silliest reasons for banning a book... A Texas state Board of Education member mixed up this Bill Martin with another Bill Martin - one who wrote the adult book Ethical Marxism: the Categorical Imperative of Liberation. Kids, this just proves that you gotta do your research!